What can you expect from Capcom’s upcoming expansion? Find out here. When Monster Hunter World released in January 2018, it was a revelation for many players. 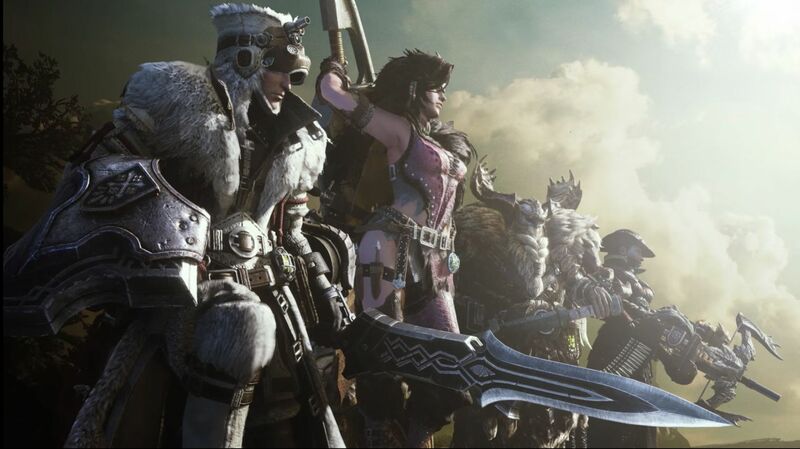 It was the first Monster Hunter title for new fans but offered a brand new take on the gameplay for veterans. 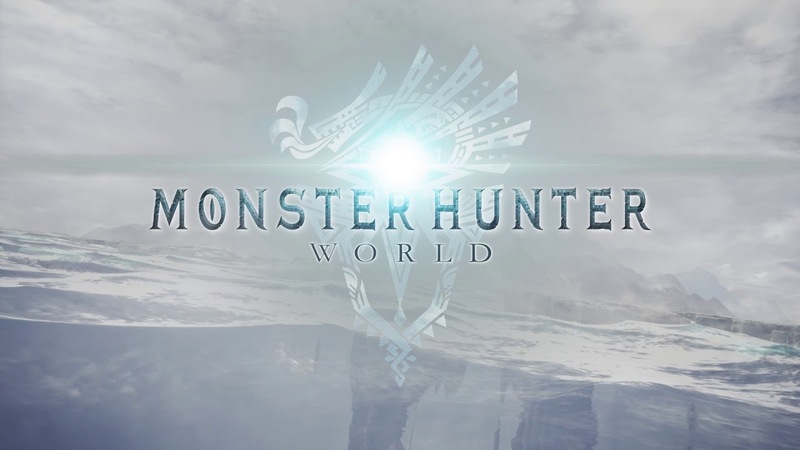 Though Capcom expanded and improved the base experience significantly with free updates, the upcoming expansion Iceborne is perhaps the most anticipated piece of content for the game yet. It’s out in Autumn 2019 for Xbox One and PS4 (with PC receiving it later) and offers several new features. If you’ve played through the entire story of Monster Hunter World, then you know that things wrapped up pretty nicely (and if you haven’t, then spoilers). The Fifth Fleet has settled into The New World, Xeno’jiiva has been beaten, etc etc. All of the post-launch quests to arrive afterwards functioned more as standalone stories than anything else. Iceborne will take a similar approach with its story, offering a brand new tale that takes place post-Monster Hunter World. How will the discovery of a new region factor into The Fifth Fleet’s plans, especially for the future? Of course, the main hook of Iceborne is that it’s taking place in an entirely new snow-covered region. Along with a new map, Capcom has also teased “new locales”. Each map in Monster Hunter World has different locales to it, which vary wildly depending on the monsters inhabiting them. So it wouldn’t surprise us if this new ice region had deep caves, mountain peaks, snow-covered forests and the like, each with their own unique environmental hazards and monsters. Again, how “big” the map will be remains to be seen. 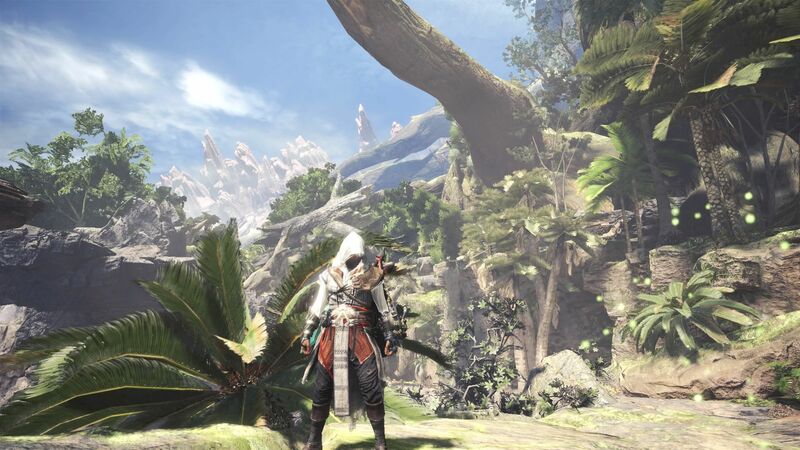 However if this is the ultimate, in more ways than one, send-off for Monster Hunter World then we can see it being comparable to the Ancient Forest and Coral Highlands in scale. The base game’s maps were interesting not just because of their complexity and monsters but also because of the different challenges they brought forth. 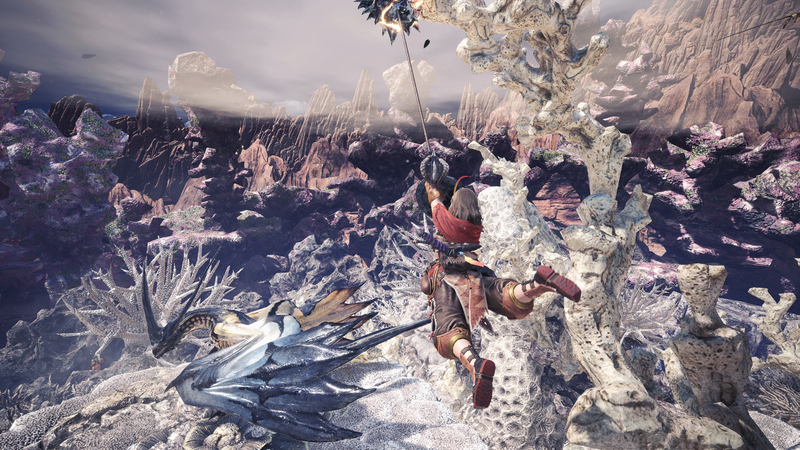 The Ancient Forest felt dense with its vegetation, which benefited the likes of Tobi-Kadachi and Anjanath in different ways. By comparison, the Rotten Vale seemed like much more of a descent into hell with Effluvium constantly sapping your health, especially when dealing with Vaal-Hazak. Could the wintry ecosystem of Iceborne confer similar obstacles, perhaps reduced movement speed in spaces or the affect of cold on your character (thus necessitating different armour or equipment to stay warm)? What kind of animals and environmental objects will come into play? We’re intrigued but hopefully it won’t be anything too oppressive. While Nargacuga was more or less or confirmed in the reveal trailer, fans are still speculating whether monsters like Oroshi Kirin, a more aggressive variant of Kirin that uses ice instead of lightning, or Zinogre will be included. 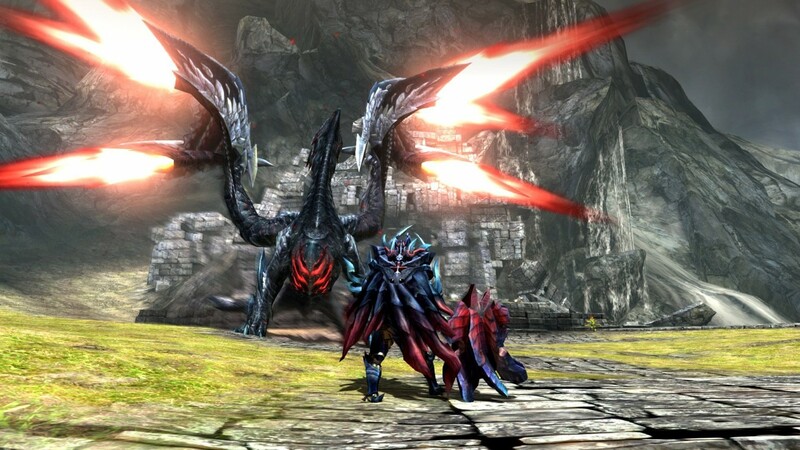 At this point, they seem a given, especially since Nargacuga and Zinogre have been highly requested by fans. Of course, it wouldn’t be strange to expect some new monsters completely unique to Monster Hunter World to be introduced as well. Whether Alatreon, the multi-element Elder Dragon from Monster Hunter Tri who was listed in a leaked list prior to release, will also be included or not is definitely hard to discern. 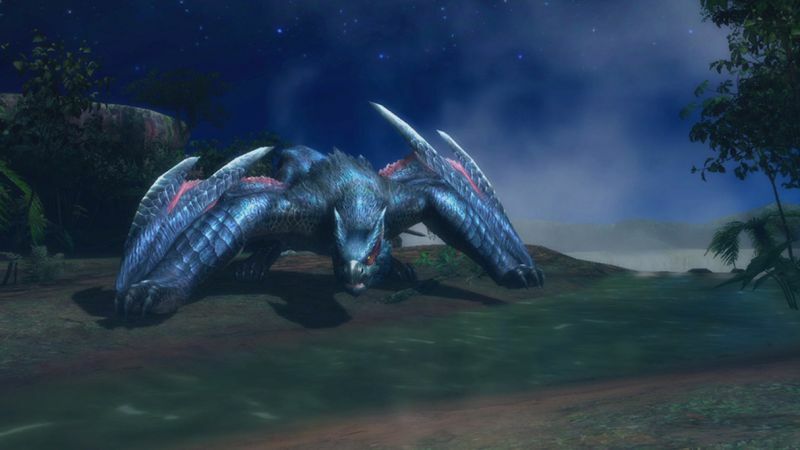 Since that list also had Deviljho and Lunastra, which were both added as free post-launch monsters, it seems possible. 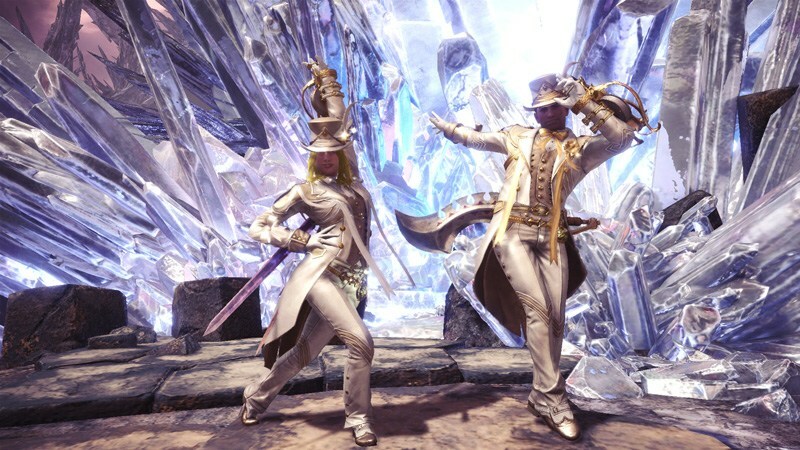 Capcom hasn’t been shy about a new quest rank in Iceborne and UK community manager Socks more or less confirmed G-Rank with his tweets in December. 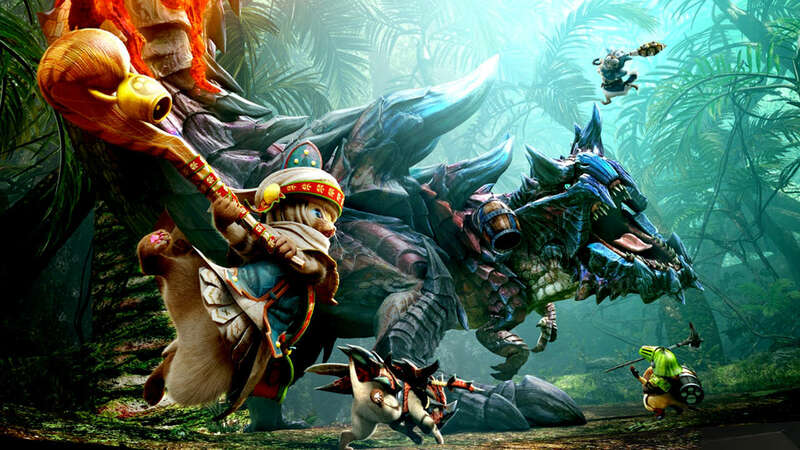 For the uninitiated, G-Rank is the toughest difficulty in a Monster Hunter title and often means that monsters receive buffs to health and damage along with new moves. They’re also more aggressive and stand a very real chance of taking the player down quickly. Of course, G-Rank monsters also beget higher tiers of crafting materials, thus providing some of the best armour sets and weapons in the game. How will they co-exist with the current Arch-Tempered Elder Dragons though? Will there be a new nightmare in the form of G-Rank Arch-Tempered Elder Dragons? Say it ain’t so. Again, while it’s hard to say exactly what new armour sets and weapons can be expected, the one image provided in the trailer hinted at a few things. For instance, a Norse-inspired armour set and a new Light Bowgun are pretty much confirmed. More importantly, given the number of weapons that have been added to Monster Hunter World for free (yes, the Melded Weapons from Kulve Taroth do count), we can’t wait to see all the new gear in Iceborne. Many might be salivating at the prospect of new armour sets and weapons. Those are definitely worth keeping an eye on but we’re interested in the new equipment. New boosters and mantles will most likely be coming, though Capcom didn’t explicitly state what the “new equipment” would be. If the Affinity Booster or Evasion Mantle were possible to earn through side-missions and free updates respectively, what could Iceborne bring to the table? A mantle that straight up provides Invulnerability? The possibilities are intriguing. Hyping up new weapons, armour and equipment isn’t all that surprising but hearing about “new moves” in Iceborne is. Monster Hunter Generations Ultimate threw in some new Hunter Arts for each weapon, thus expanding the overall range of combinations possible with Hunting Styles. Monster Hunter World doesn’t have “Styles” or “Arts” so it seems that each weapon tree could receive some new skills that are available at all times. Of course, the image in the reveal trailer also hinted at newer versions of pre-existing armour sets like the Anja Armour Set. If it means that all monsters will become viable in the end-game and have different G-Rank versions for their armour sets, then all the better. Then again, we’d be satisfied even if a few dozen or so older sets were brought into G-Rank as opposed to everything.